Fig. 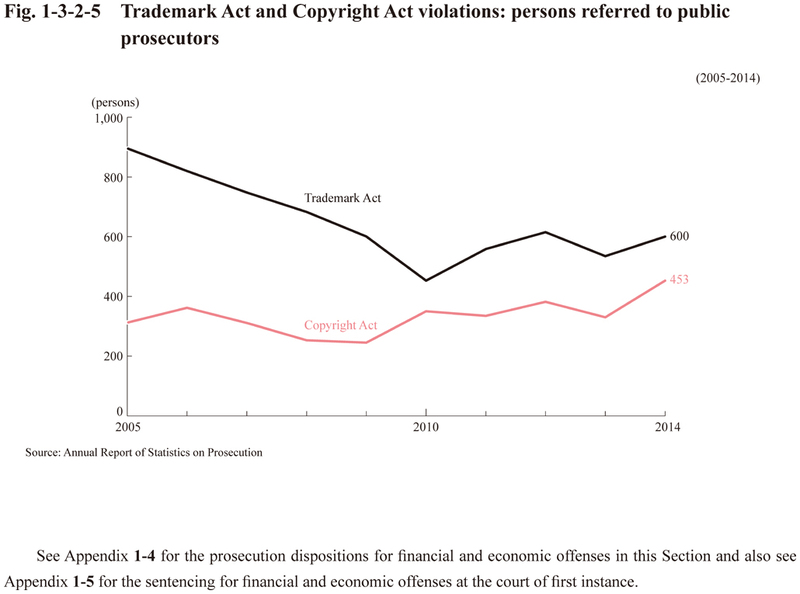 1-3-2-5 shows the trends of persons referred to public prosecutors for violations of the Trademark Act (Act No. 127 of 1959) and the Copyright Act (Act No. 127 of 1970). 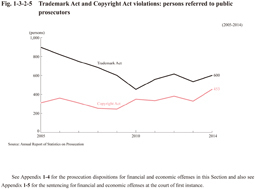 See Appendix 1-4 for the prosecution dispositions for financial and economic offenses in this Section and also see Appendix 1-5 for the sentencing for financial and economic offenses at the court of first instance.